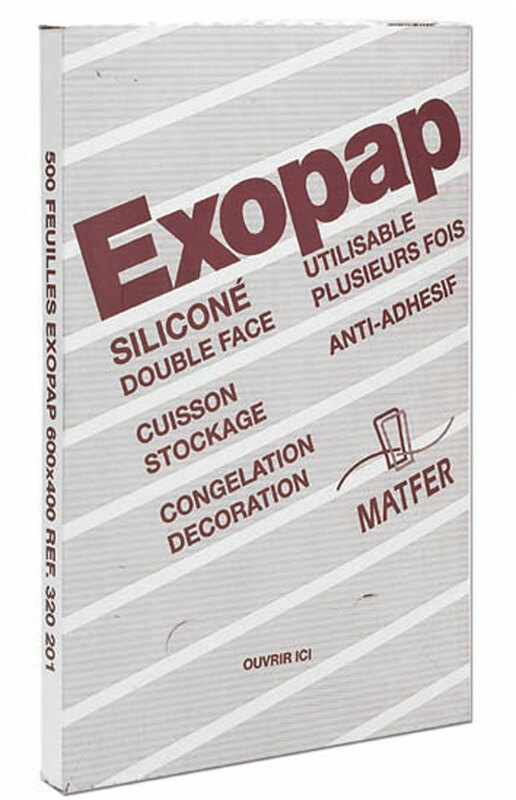 Silicone double-faced baking pa per. Priced for the box of 500 sheets. Can be used 2 or 3 times on each side. Heat resistant to 600ºF. Double sided (both sides can be used, non-stick). For cooking, frying, freezing, decorating, storing, interleaving. Can be reused based on the type of baking. Ready to use sheets. Packaged in the form of dispenser cartons. Weight: 12 lbs. 2 oz.